With the arrival of the Ryan Coogler-directed Black Panther film just weeks away, THR reports that Creed co-writer Aaron Covington will write two issues of the Black Panther: Long Live the King digital comic series. 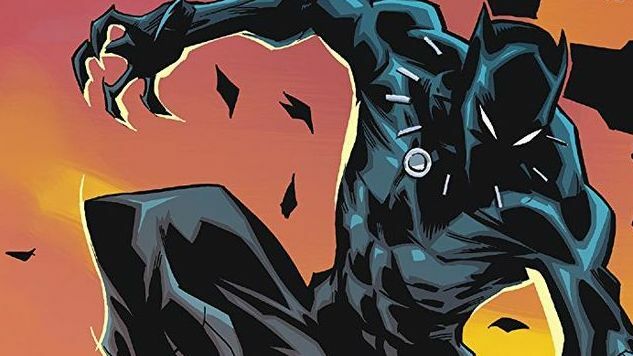 Covington, along with resident Marvel artist Mario del Pennino, will take over from novelist Nnedi Okorafor and artist Andre Lima Araujo for a storyline involving T’Challa dealing with political strife in Wakanda while having to track down a monster terrorizing the isolated South African country. Okorafor and Araujo will return for the last two issues to finish their storyline. Black Panther: Long Live the King is a collaboration between Marvel Entertainment and Amazon’s digital comics platform ComiXology. Other digital-first titles include Thor vs. Hulk: Champions of the Universe, The Immortal Iron Fists and an upcoming Avenger series. The next issue of Black Panther: Long Live the King will be available Jan. 10 via ComiXology.